Request tickets online from March 19 to 28. Reserved seats are filled and locations assigned based on the level of your support. Within each level of contribution, seating is assigned according to the date your request is received by the box office. Additional seating priority is given to members of the Silver Circle, who have contributed annually for 25 years or more. For some concerts, the volume of requests from donors at higher levels is such that we cannot guarantee that all requests can be filled in their entirety. Tickets are not guaranteed. While we do our best to accommodate all of our donors, due to demand that often exceeds the number of seats we have to sell, we cannot guarantee tickets at any level. Historically, donors at the Marquee ($2,000) level of support have received two priority seats to any concert for which they requested tickets, and higher levels have had access to additional tickets. Tickets are available online only during the donor ticketing period on a first-come, first-served basis, exclusively at Ravinia.org. Ticket limits will be in place for both reserved seats and lawn tickets, based on availability. Tickets are not guaranteed. While we do our best to accommodate all of our donors, due to demand that often exceeds the number of seats we have to sell, we cannot guarantee tickets at any level. Lawn tickets are available online only during the donor ticketing period on a first-come, first-served basis, exclusively at Ravinia.org. Ticket limits will be in place, based on availability. Charitable contributions to the Ravinia Festival are not refundable and do not guarantee any benefits or specific concert seating assignments at any level. Questions? 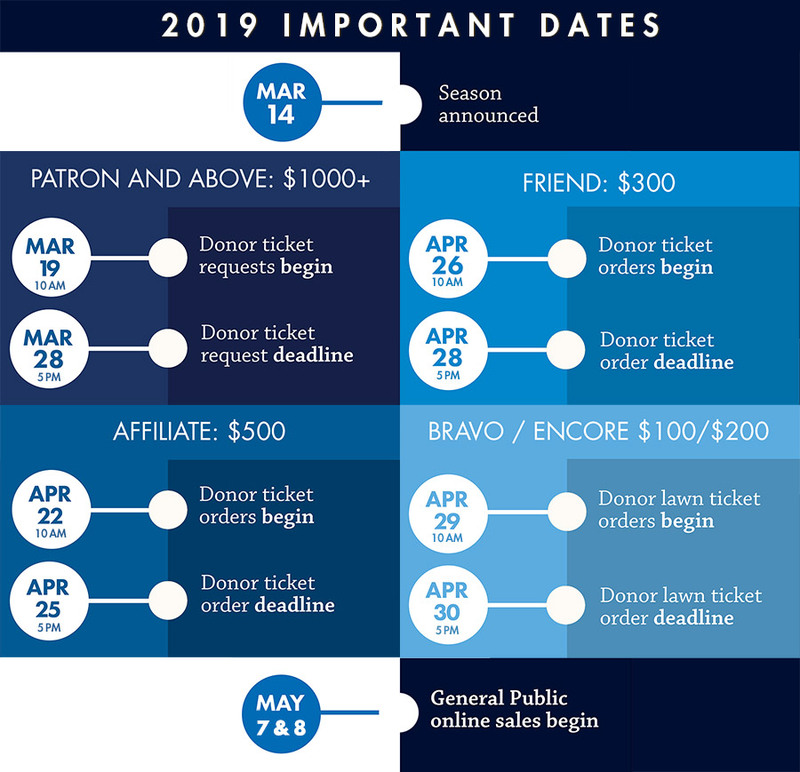 For more information about donor ticketing, please e-mail donors@ravinia.org.